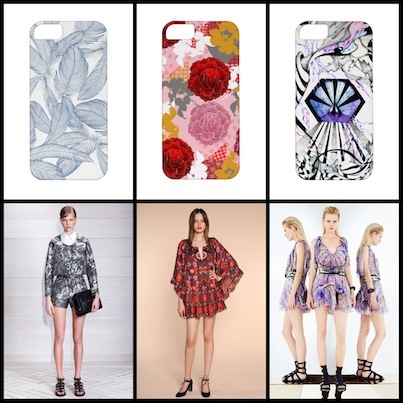 Check out the similarities between these pieces from the Resort 2014 catwalk shows and our fabulous iPhone cases! A stand out trend was tropical prints, translating from stand out prints to intricate flower detail. Credits (clockwise from top left): ‘Black Floral’ by Johanna Basford, ‘Pink Floral’ by Johanna Basford, ‘Catastrophy’ by Sun Lee Siew Loo, BCBG Max Azria, Badgley Mischka, Louis Vuitton. 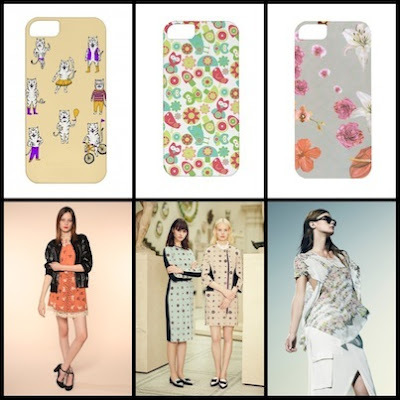 More playful prints and colours were a big trend, as seen on the catwalks of Anna Sui and Erdem. 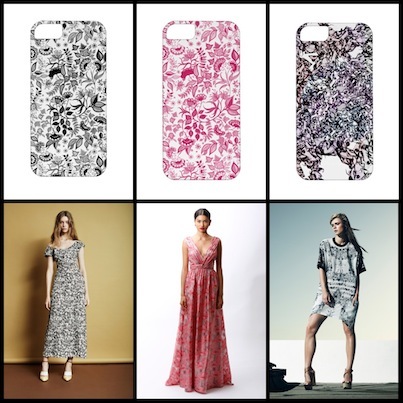 Credits (clockwise from top left): ‘Yellow Tiger’ by Karin Soderquist, ‘Pretty Paradise’ by Jennie Whitham, ‘Print’ by Sacha Kreeger, BCBG Max Azria, Erdem, Anna Sui. Jason Wu and Emilio Pucci showed a more etherial theme with blue tones and softer lines. Credits (clockwise from top left): Feathers by Cat Sims, Dahlia Dream by Anneline Sophia, Celestial Kingdom by Pomme Chan, Emilio Pucci, Anna Sui, Jason Wu. 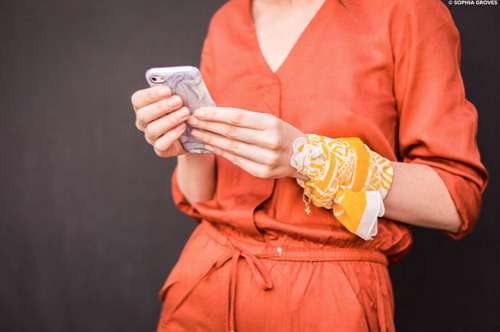 What are your favourite trends for the new season?